Some of the most beautiful Country Golf Clubs and Resorts in Thailand can be found in Chiang Mai. They are nestled between picturesque valleys and majestic forested peaks. Not only are the northern hills here filled with fresh mountains air but they are also encompassed by some of the most spectacular scenery. 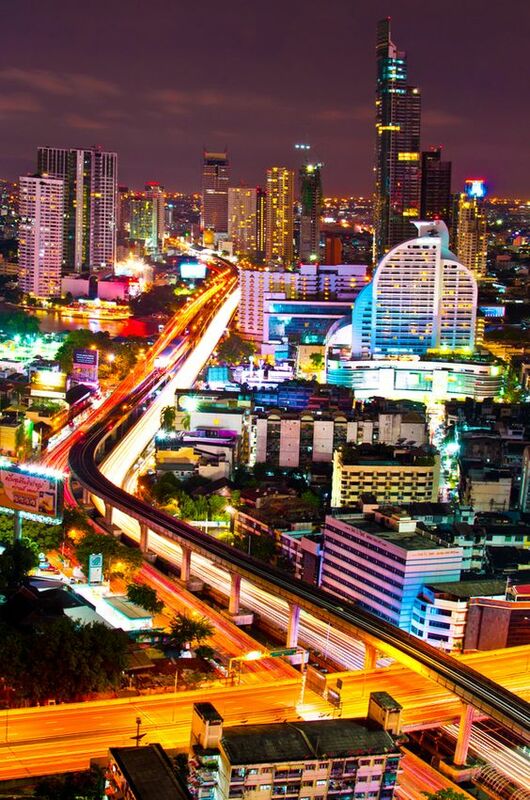 Apart from the glorious golf courses in the city, Chiang Mai offers you the chance to escape the most populated places. Discover the city's own unique culture, its enchanting temples, its lively markets and its fascinating country life. Combined with superb accommodation and abundant leisure activities, it's a special place to just relax and enjoy the moment after a serious round of golf. Golf clubs in Chiang Mai and Chiang Rai include the Royal Chiang Mai Golf Resort, Chiang Mai Summit Green Valley Golf Club, Alpine Golf Resort, Gassan Lake City Golf and Resort, Gassan Khuntan Golf and Resort, Chiang Mai Highlands Golf and Spa Resort, Mae Jo Golf Resort, Chiang Mai Lamphun Golf Club, Lunna Golf Club and Santiburi Country Club and Waterford Valley Country Club. Summit Green Valley Golf Club is an 18-hole par 72 course situated in the Mae Rim Valley twelve kilometres north of Chiang Mai. Designed and created by Denis Griffith this 7,177-yard golf course overlooks the meandering Ping River. 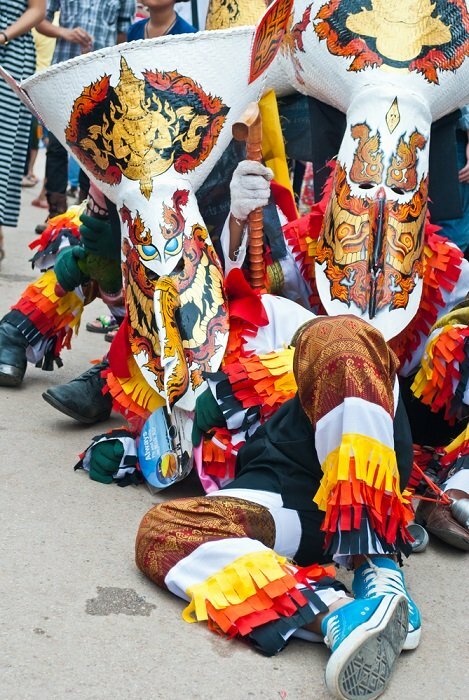 Regarded as the toughest in Chiang Mai, though most rewarding, it is supremely challenging. The site is surrounded by lush hills and magnificently landscaped, but the course itself is located on a flat valley floor heavily laden with lots of bunkers and water hazard. Many a golfer has ended up wet and shamed. Perhaps it is best to play this course on a cool comforting northern morning. After your rigorous round of golf or at the end of a long day you can relax in the spacious northern style clubhouse. All the usual facilities and amenities can be expected here, including some dining in fine style at the clubhouse restaurant. Royal Chiang Mai Golf Resort is an 18-hole par 72 course situated half an hour's drive from Chiang Mai. It was designed by the five-times British Open Champion Peter Thompson. This country golf course holds a very special meaning for the people of the north because it opened in 1996 during ceremonies to celebrate the 700th anniversary of the city's founding. The course was created to incorporate the grounds waterfalls, streams, natural trails and wealth of trees ranging from native species to a variety of palms. The 6,969 yard course layout holds a host of surprises. The undulating terrain hides sand traps and oddly angled bunkers which ultimately test your ability to read the fairways to accurately place your shots. Nevertheless, the course does attract a wide range of golfers with varying handicaps. The facilities at the handsome clubhouse offer you a nine-hole mini golf course, a driving range, a swimming pool, tennis courts, a sauna and spa, a snooker room as well as a coffee shop serving both Thai and European dishes. The course also features a modern hotel and restaurant. Nearby are several trails to meander through while enjoying walks and exploring the surrounding hills. 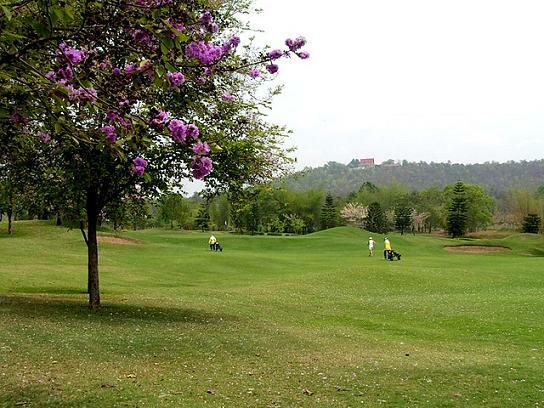 Alpine Golf Resort is situated 30 minutes by car south-east of Chiang Mai. Measuring 7,541 yards, this 18-hole Par 72 course was designed by Ron Garl and set on 450 rai of land in a picturesque valley between beautiful mountain ranges in the heart of the San Kampaeng forests. Demanding challenges from the back tees will be a test even if you're an accomplished golfer. However, if you're ready to face the challenges, you'll be richly rewarded with fresh mountain air and some stunning scenery. After your round of golf, why not take full advantage of the wonderful clubhouse Day Spa and while you are there you can also enjoy a marvellous meal at the club's international restaurant. Gassan Khuntan Golf Resort in picturesque Chiang Mai must be one of the most alluring country golf courses in Thailand. It is situated forty minutes by car south of the city and surrounded by Doi Khuntan National Park, famous for its historical structures such as the Railway Bridge and the Khuntan Tunnel, both having been built during the second world war. The 18-hole Par 72 course may offer a few challenges, but the setting is perpetually peaceful and the tropical scenery is breathtakingly beautiful. It's the perfect place to try your swing. Gassan Lake City Golf Resort is separated just a few minutes drive apart from its sister golf club south of the city. Designed by Thai architect Pravit Reang-Po and opened in mid-2005, this 18-hole Par 72 golf course measuring 6,400 yards, harbours water hazards on virtually every hole with large bunkers that run right into the lake itself on the 3rd and 4th hole. Though the course is not that long, it does require thoughtful play rather than power hitting. With forested mountains as your background, emerald green fairways as far as the eye can see and the late afternoon sun shimmering on the lake it offers a wonderful environment in which to enjoy a round of golf. Highlands Golf Club and Spa designed by Schmidt and Curley, the team behind some of the finest golf courses in Asia, is situated approximately thirty minutes by car south-east of Chiang Mai. The 18-hole Par 72 course with its more than one hundred fairway and green-side bunkers, nestles amid the rolling hills of this northern province and offers a world-class challenge for golfers of all levels. Lamphun Golf Club, designed by Dr Sukhum is a 20-minute drive from Chiang Mai. Measuring 6,909 yards, this 18-hole Par 72 course is set in a beautiful valley surrounded by wooded hills. Vast grasslands meander through clusters of mature native trees right past burbling creeks providing both water hazards and scenic beauty. All this creates the illusion of a world apart. While the course is generally level and deceptively easy, the doglegs, sand traps, trees and waterways make mastering it harder than it appears even if you admit to being an expert golfer. After a rigorous round of golf. the clubhouse will surely serve as a welcome oasis. It offers all the usual golfing benefits and facilities for your relaxation needs as well as excellent dining possibilities. If you come to Thailand specifically to play golf then perhaps you might like to visit some of the other golf clubs in Thailand.